We know that more often than not it’s faster to fly between Australian destinations, but we also know that there’s nothing quite like a good old roadtrip. Stretching along a good portion of New South Wales’ east coast, the trip from Sydney to Byron Bay is among the best. If you’re planning to drive from Sydney to Byron Bay, discover where you should stop along the way! Somersby Falls Picnic Ground, Australia. Image Credit: Martin7d2 / CC by 2.0. A little over an hour from Sydney’s CBD, Gosford is not only the largest centre on the Central Coast, but is also a great place to explore. Surrounded by countless coastal towns and villages, and some beautiful beaches, the area boasts some fantastic natural and cultural attractions. The Australian Reptile Park – one of the Central Coast’s iconic attractions, the park is home to all manner of native wildlife, from koalas and wombats through to crocodiles, cassowaries and dingos. 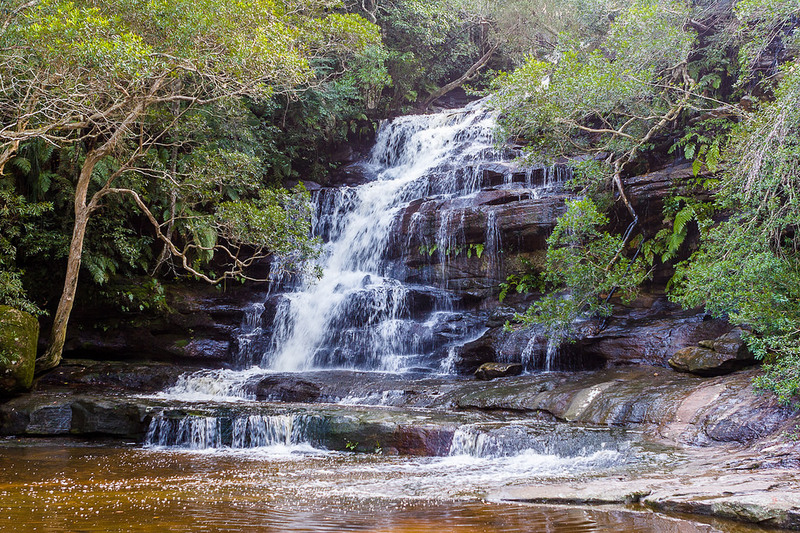 Somersby Falls Picnic Grounds – set in the Brisbane Waters National Park, this is a wonderful spot to sit back, settle in for a picnic and enjoy the beauty of this part of the state. Gosford Regional Gallery – great for an art fix on the go, the gallery features works by local, Australian and international artists. See paintings, photographs, sculptures and more, before exploring the beautiful Japanese gardens nearby. Merewether Beach, Newcastle, Australia. Image Credit: Maurice van Creij / CC by 3.0. The state’s second largest city, Newcastle effortlessly combines the classic Australian surf culture, a thriving arts scene and a rich history to deliver a destination that can be explored in so many ways. Explore for a few hours or spend a day or two discovering the heart and soul of the city. 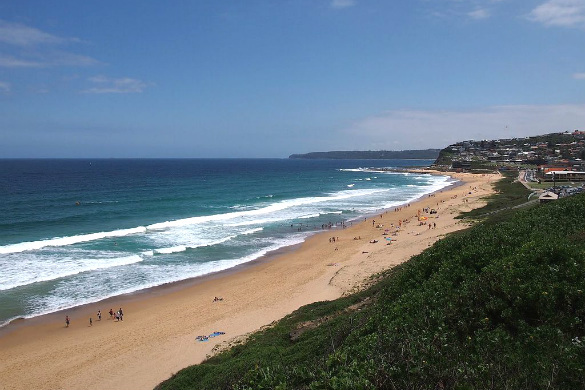 Merewether Beach – said to be among Australia’s best beaches, this spectacular stretch of golden sand offer both great surfing conditions and family friendly ocean pools. Darby Street – home to dozens of cafes, a number of award winning restaurants and a wide assortment of shops, this popular local haunt is a great spot to stop, refuel and discover Newcastle’s vibrant artistic heart. Newcastle Memorial Walk – the perfect excuse to stretch your legs, this scenic walk, built to commemorate the centenary of the ANZAC landing at Gallipoli, stretches from Strzelecki Lookout to Bar Beach, offering some fantastic views along the way. Seven Mile Beach, Forster, Australia. 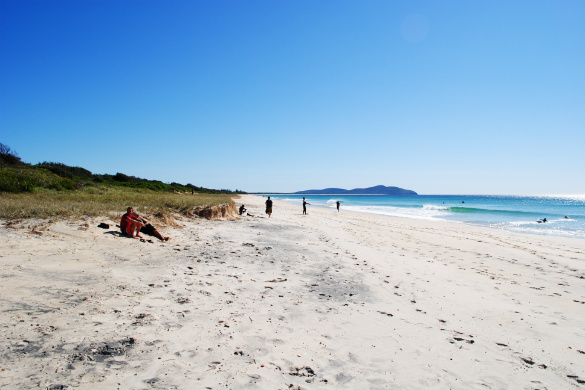 Around two hours north of Newcastle, Forster is a town that is perhaps best known for its spectacular beaches. Offering all the modern conveniences you could want and no shortage of natural beauty, it’s a great spot to stop and admire the stunning surrounds of the Great Lakes region. Cape Hawke Lookout – offering incredible 360-degree views of Booti Booti National Park, Wallingat National Park and Forster’s coastline, the hike to the top of this lookout is well worth the effort. Keep an eye out to sea in winter – you might even spot some migrating whales. One Mile Beach – popular with families, surfers and just about everyone in between, this long untouched beach is great for swimming, surfing or simply lazing beneath the warm summer sun. Booti Booti National Park – if you’re not in a hurry, set aside some time for a bushwalk, some birdwatching or a swim in this beautiful national park. With so much to see and do across its length and breadth, you’ll easily while away the hours. Tacking Point Lighthouse, Port Macquarie, Australia. Image Credit: Quartl / CC by SA 3.0. 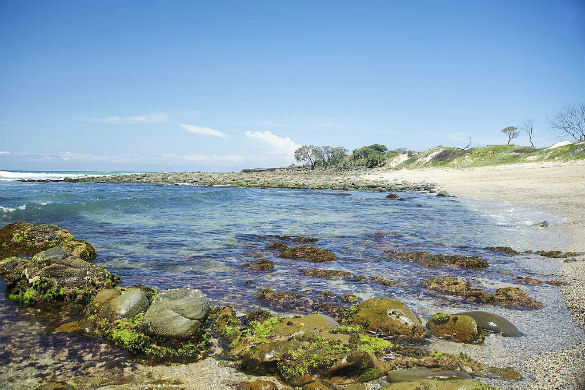 Bordered by lush hinterland and some incredible golden beaches, Port Macquarie sits at the mouth of the Hastings River. Boasting a rich history, plenty of natural beauty and some unique attractions, you’ll find plenty to see and do across the area. 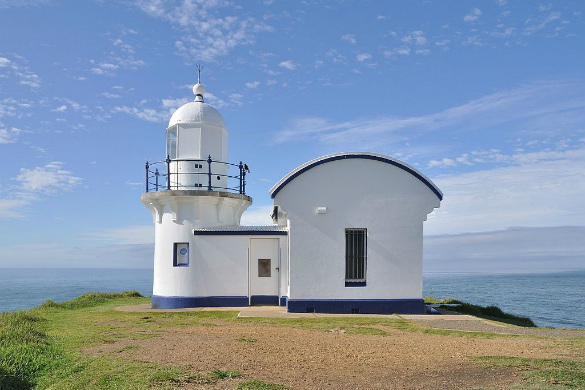 Tacking Point Lighthouse – one of the oldest of its kind in Australia, this lighthouse sits upon a headland that offers some of the town’s best views. Soak up amazing ocean panoramas and be sure to keep an eye out for migrating whales in the cooler months. Port Macquarie Museum – a great place to learn more about the town and its heritage, this museum is filled with interesting exhibitions and artefacts that span generations. Koala Hospital – an opportunity to see koalas up close, a visit to this dedicated wildlife hospital is free and a great option for all ages. Time your visit right, and you can even enjoy an interesting volunteer led tour of the facility. Trial Bay Gaol, South West Rocks, Australia. Image Credit: Merryjack / CC by SA 2.0. Just over an hour north of Port Macquarie, South West Rocks is the perfect place to stretch your legs and get active. Sitting at the mouth of the Macleay River, you’ll find historic sites, great fishing spots and so much more. 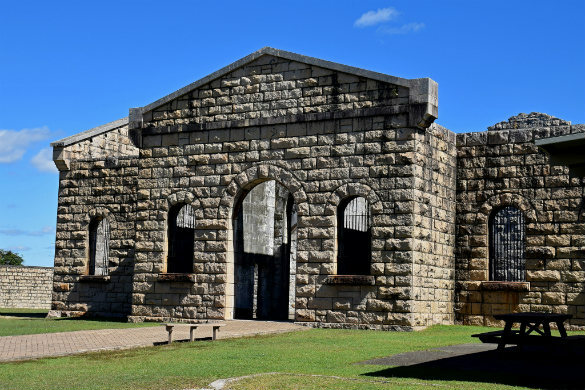 Trial Bay Gaol – filled with history, a visit to this interesting site is a great way to learn more about the people and events that have influenced the area over the past 130 years. Wander through the grounds by yourself or join a guided tour. 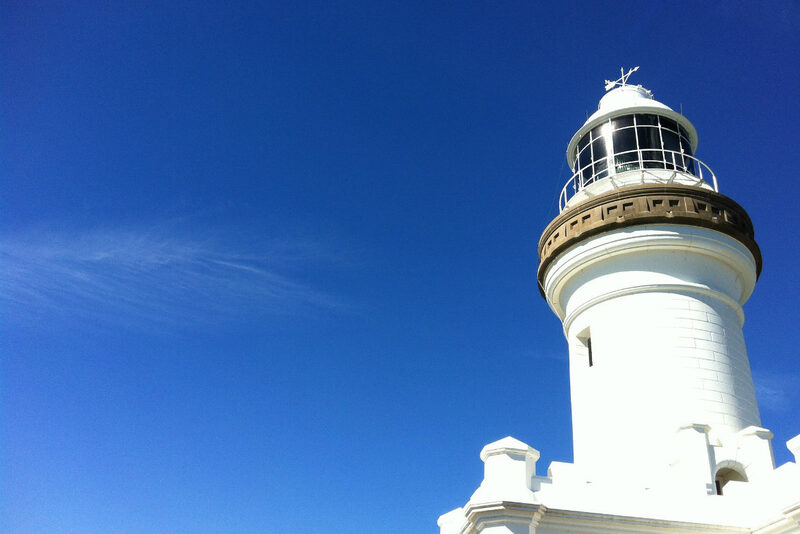 Smoky Cape Lighthouse – another of the state’s picturesque heritage buildings, this historic lighthouse serves as the backdrop for a picnic, birdwatching or simply soaking up some beautiful coastal scenery. Horseshoe Bay – a favourite with both the locals and visitors alike, this popular beach features grassy headlands and a sheltered cove perfect for swimming. The Big Banana, Coffs Harbour, Australia. Image Credit: James Manners / CC by SA 2.0. Another hour north, you’ll find Coffs Harbour, a coastal city perhaps best known as the home of the iconic Big Banana. Beyond its most famous attraction, you’ll find unspoilt beaches, breathtaking lookouts and other coastal delights. 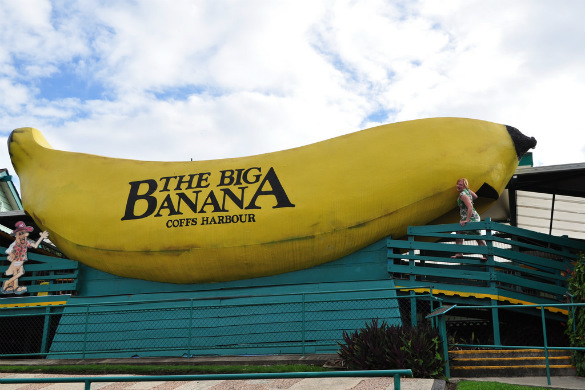 The Big Banana – one of the country’s best known ‘big things’, you can’t visit Coffs Harbour without stopping by this popular attraction. Take a snap for your holiday album in front of the Big Banana and enjoy the ice skating rink, waterpark and mini golf course. North Coast Regional Botanic Garden – covering an impressive 20 hectares, the gardens are home to trees, plants and flowers from across Australia and the globe. Set out on a stroll through the grounds and find a nice shady spot to sit back and with the world roll by. Korora Lookout – another good option if you have the time up your sleeve, the lookout offers some incredible views of Coffs Harbour, the surrounding area and the beautiful Coffs Coast. Angourie Beach, Australia. Image Credit: Camila Sé / CC by 2.0. A firm Northern Rivers favourite, you can’t go past Yamba for great surfing, spectacular beach and deliciously fresh seafood. An hour and 45 minutes south of Byron Bay, it’s a great place to stop before the final leg of your Sydney to Byron road trip. Pippi Beach – once home to an abundance of shellfish by the same name, this beach is patrolled during the warmer months and is a great place to head for a picnic with a view. The southern end is a leash-free area for dogs, which is great if you happen to be travelling with your four-legged friends. Angourie Beach – one of the locals’ favourite surfing spots, this a beach to visit if you’re wanting to ride some serious wave. If surfing isn’t your thing, take a walk along the headland and soak up some pretty special sea views. Main Beach – yet another of the region’s beaches, this stretch of sand not only boasts great waves, but an ocean pool too, making it a great place to stop and take a dip with the whole family. Ready to set out on your own road trip from Sydney to Byron Bay? Hire a car, book accommodation and more with Webjet today!